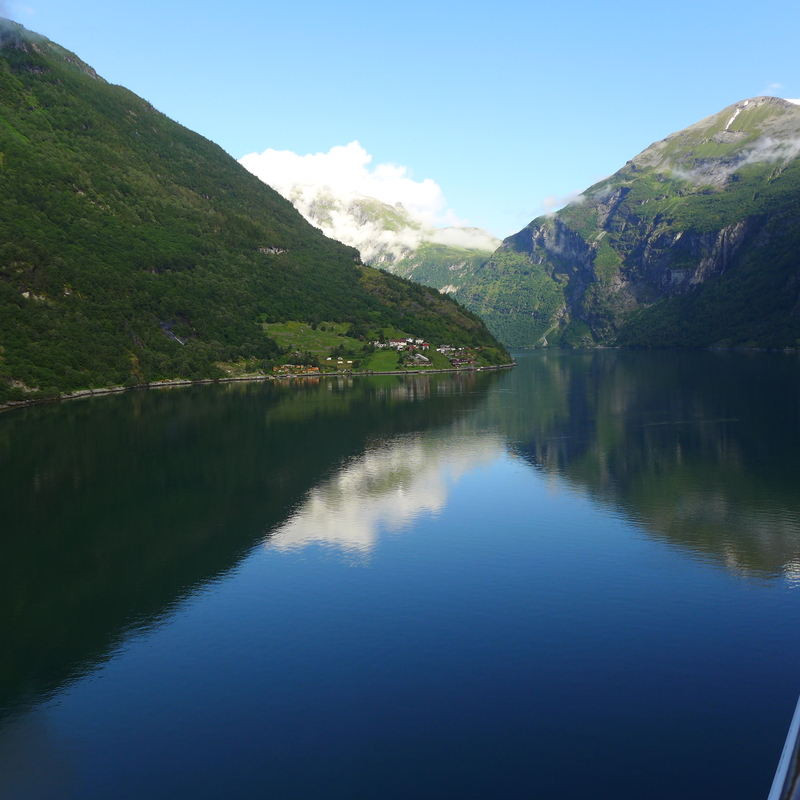 We have been to Geirangerfiord twice, it is one of those places that is so beautiful the pull to return is great. 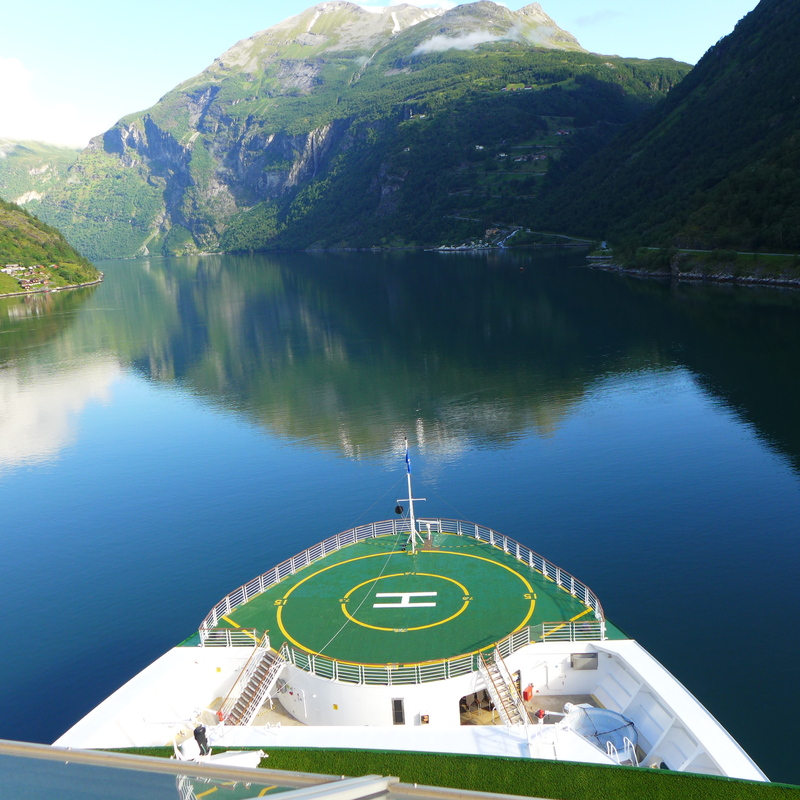 Each first we have cruised into the Fiord thus allowing us to fully appreciate how large this fiord is. 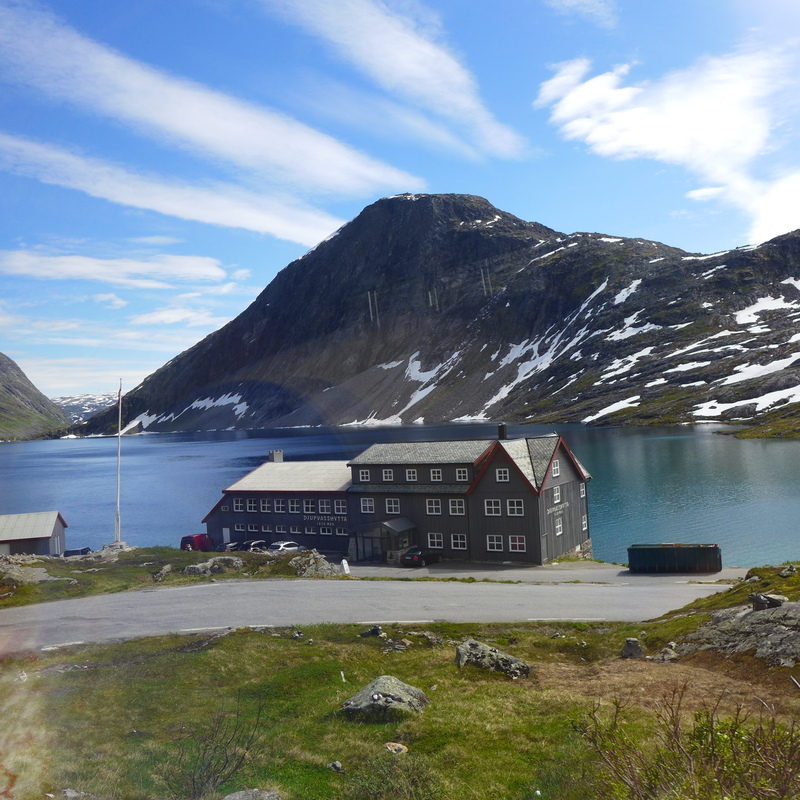 The Geirangerfiord itself is 15 kilometers long but is only a branch of the much larger Storfiord. 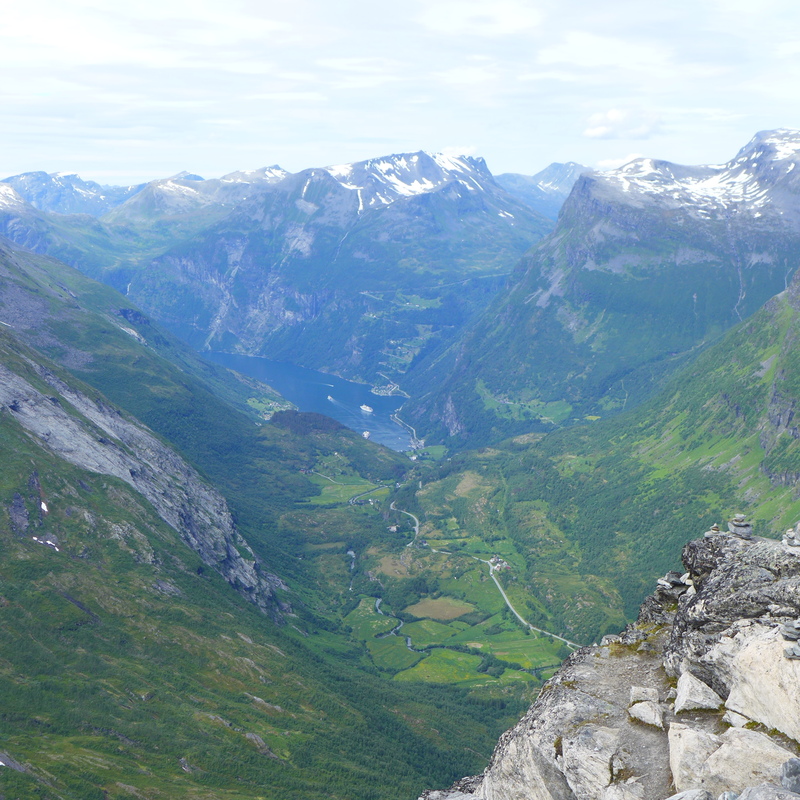 The small village of Geiranger is situated at the end of the fiord. The area was declared a World Heritage Site in 2005. We took a day trip to Dalsnibba travelling 21 kilometers on a very winding road high into the mountains. The views from Dalsnibba is truly stunning. It has an abundance of snow even in summer. On the other side of the fiord, is Eagle Road and the vantage point at Eagle Bend. 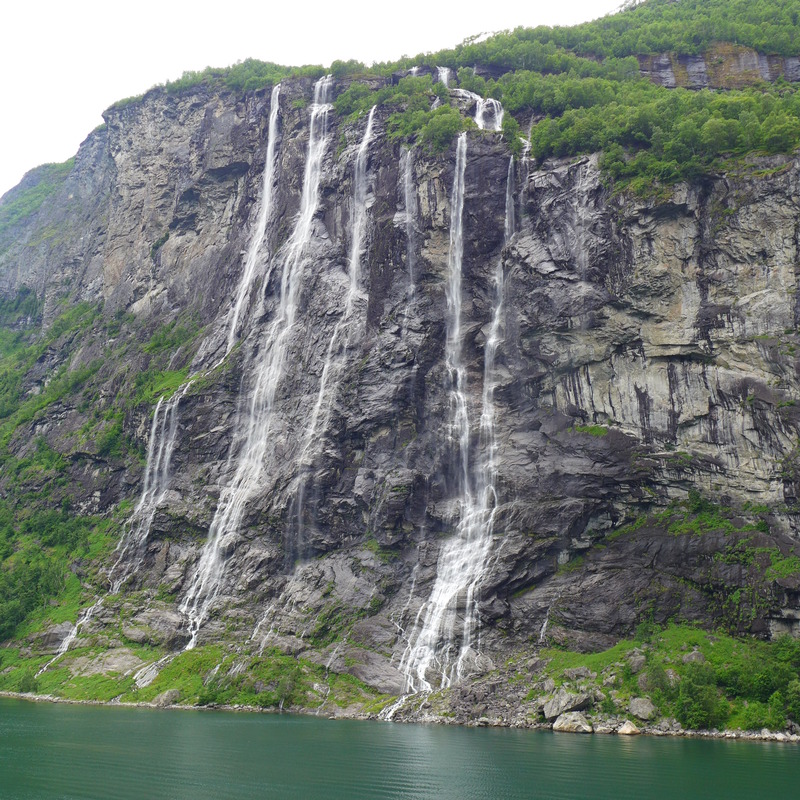 Views of the Seven Sisters Waterfall can be had from here although the best way to see the falls in by boat on the fiord itself. 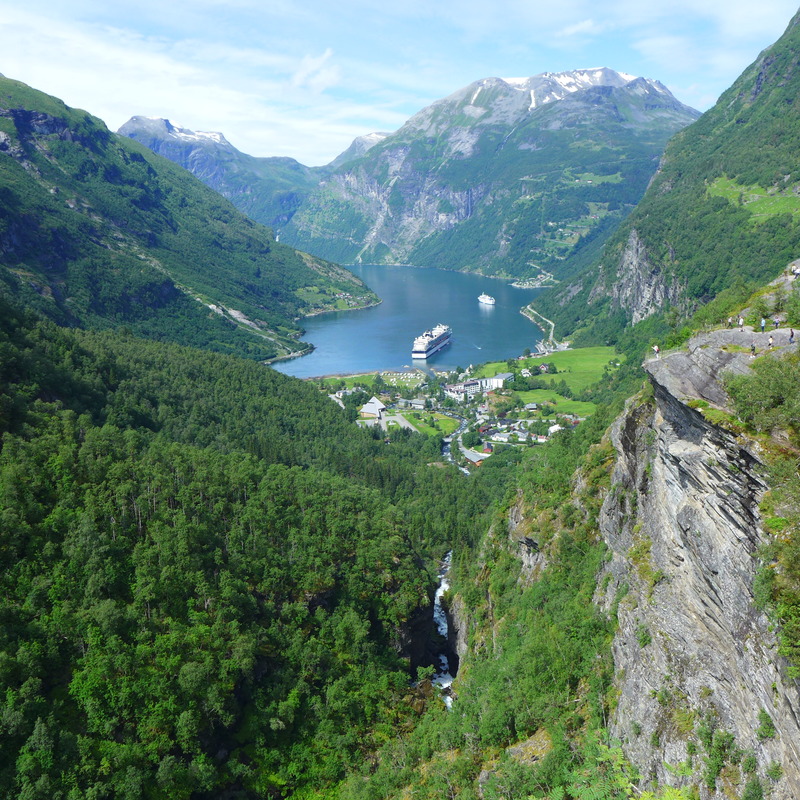 Aside | This entry was posted in Dalsnibba, Geiranger Fiord, Norway, Scenic, Uncategorized and tagged Dalsnibba, Fiords, Geiranger Fiord, Mountains, Norway, Scenic. Bookmark the permalink.